In the School of Continuing Education and Summer Sessions . During Summer Session, you can complete prerequisites, lighten your fall or spring course load, accelerate your degree program, or study something new. 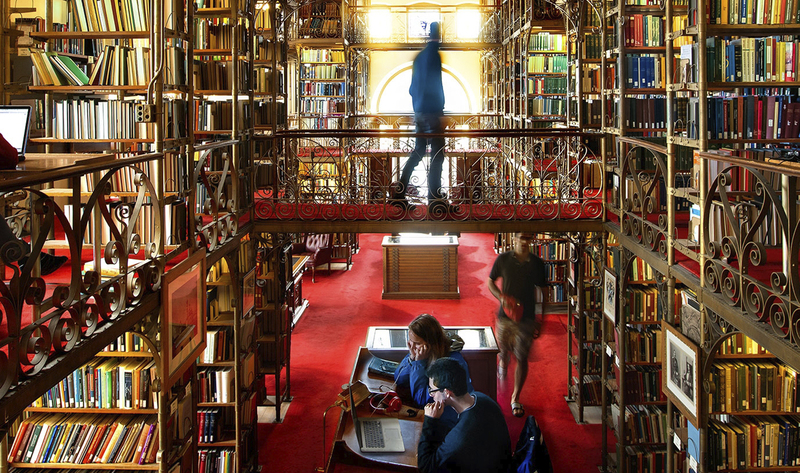 Regular Cornell courses are offered in three-, six-, or eight-week sessions. Summer Session features open admissions and outstanding instructors, nearly all of whom are regular Cornell faculty members. Courses are offered on and off campus and online. For courses, on- and off-campus programs, and online learning options, visit summer.cornell.edu. You can earn up to 4 credits between the fall and spring semesters by enrolling in Winter Session. During this quiet time on campus, you’ll enjoy generally smaller classes and be able to concentrate on intensive study with a faculty member. Courses are offered on and off campus and online. For on-campus courses, off-campus programs, and online learning options, visit winter.cornell.edu. If you want to combine the strengths of Cornell with all of the best parts of living and learning in Washington, DC, consider the Cornell in Washington program. Students take courses in the fall, spring, or summer for credit, work as externs, and complete substantial research projects while enjoying the rich opportunities available in the nation’s capital. For information, visit ciw.cornell.edu, e-mail cwash@cornell.edu, call (607) 255-4090, or write to Cornell in Washington, 300 Kennedy Hall, Ithaca, NY 14853. Have a special interest you’d like to pursue? Want to do research and get credit for it? Need a particular course to graduate on time? Consider independent study. Independent study encompasses courses of your own design, special topics courses, undergraduate research, or any regular course from the fall and spring semesters not being offered. If you can find a professor willing to supervise your study, all you need to do is pick up the application for independent study (available on the web at sce.cornell.edu/common/pdf/independent_study.pdf or from the Continuing Education office) and register in B20 Day Hall at least two weeks prior to beginning the independent study course. Also, please let the School know if there are courses you would like to see offered next summer or winter. For information, e-mail cusce@cornell.edu or call (607) 255-4987. Students: Need a flexible schedule? Planning to travel or work during the winter break or summer months? Don’t let that stop you from taking a class, earning credits, or learning something new. Online courses feature web-based components and/or related materials. You’ll interact with the instructor and other students by e-mail and/or discussion boards. Most assignments and examinations are completed within a scheduled time frame, just as in on-campus courses, but you’ll have the option of getting a head start on readings and lectures. For information, visit sce.cornell.edu/ol, e-mail cusce@cornell.edu, call (607) 255-4987, or write to Online Learning, B20 Day Hall, Ithaca, NY 14853-2801. Faculty: If you are a faculty member interested in developing credit or noncredit online courses, the School offers a broad range of services, including determining technological needs, resolving copyright issues, creating a marketing plan, and fulfilling administrative duties related to your course. Visit sce.cornell.edu to see what’s possible. If your studies are interrupted for any reason, you may find it useful to take classes on a part-time basis. The School also offers part-time study to staff and faculty members, area residents, and anyone interested in taking courses at the University, improving their job skills, continuing their education, or simply having fun learning something new. Thanks to the Part-Time Study Program, almost anyone may enroll in almost any course at Cornell during the fall and spring semesters if space is available. Part-time study at Cornell is a great opportunity to take fascinating courses and study with world-renowned faculty members. If you’d like to take advantage of Cornell’s extensive course offerings but don’t need college credit, you may register through the Visitors Program and receive a 90 percent discount on tuition. For information, visit parttimestudy.cornell.edu, e-mail cusce@cornell.edu, call (607) 255-9697, or write to Part-Time Study, B20 Day Hall, Ithaca, NY 14853-2801. If you want to immerse yourself in a particular subject, consider enrolling in a special program. Programs are offered on and off campus during the summer and/or winter sessions, may include an internship, and may be combined with other courses. For information, visit sce.cornell.edu/sp, e-mail cusp@cornell.edu, call (607) 255-7259, or write to Special Programs, B20 Day Hall, Ithaca, NY 14853-2801. For more information, visit sce.cornell.edu. If you know any high school students, be sure to tell them about Summer College. This award-winning precollege program offers two-, three-, five-, and six-week courses for motivated sophomores, juniors, and seniors from around the world. Participants live on our beautiful campus, take college classes with leading Cornell faculty members, earn an average of 3 to 6 credits, and explore careers and academic majors. The program is a wonderful opportunity for high school students to experience college life and make some great friends. At the end of the program, students often say it’s been the best summer of their life. For information, visit summercollege.cornell.edu, e-mail summer_college@cornell.edu, call (607) 255-6203, or write to Summer College, B20 Day Hall, Ithaca, NY 14853-2801. The Pre-medical Program at Weill Cornell Medicine-Qatar (WCM-Q) is a two-year non-degree course of study designed to help prepare students to meet the educational requirements to apply to WCM–Q’s four-year, degree-awarding medical program. The first-year course content focuses on those aspects of the basic sciences that have direct relevance to medicine. The courses are identical to those taught at the Ithaca campus and are supplemented by laboratory sessions. Second-year courses include more advanced courses in biology and chemistry, as well as psychology and medical ethics. For information, visit qatar-weill.cornell.edu or call (646) 962-4950 (New York) or (974) 4492-8800 (Doha).